Cleaning caddies are used to carry out housekeeping jobs and to perform household work much quicker and in an organized way. It’s perfect for organized cleaning and maintenance of your home, office and surroundings. Metallic cans and buckets are used as accessories while performing household works. Kone Crafts is among the leading Cleaning Caddy Manufacturer based out of Moradabad, India. We manufacture Cleaning from Zinc/Galvanized Iron Sheet of various shapes and sizes coupled with different attractive colors. HERE ARE VARIOUS SHAPES AND SIZES OF CLEANING CADDIES & CANS WE MANUFACTURE! 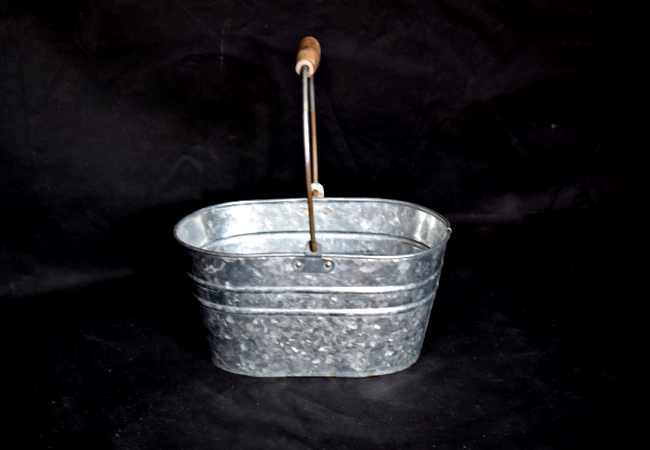 This metallic cleaning caddy is manufactured from Galvanized/Zinc Sheet. It has got Galvanized Iron handle which makes it easy to move and carry. After the development is done its surface is coated with thin layer of lacquer to make it durable and also make the caddy leak proof. This oval shape caddy is small in size and can store all required cleaning tools. Get bulk quantity for your retail customers now! 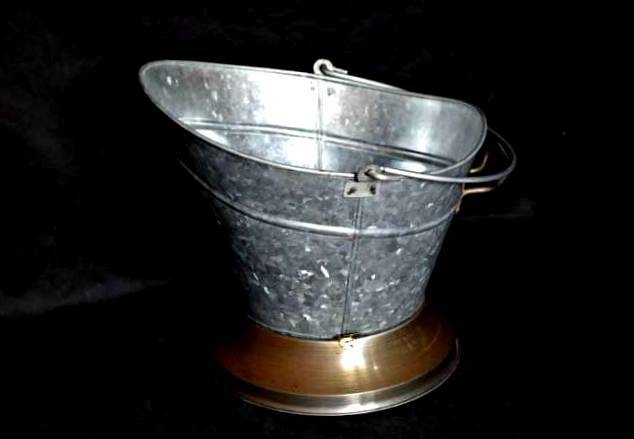 This watering bucket is manufactured from Galvanized Iron Metal sheet of thick gauge keeping its water storing capacity in mind. A very thick gauge GI handle is attached at the top. 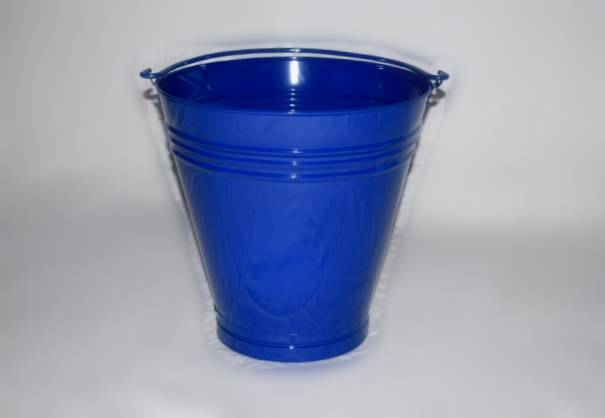 This leak proof bucket is coated with lacquer to maintain its sheen and durability. Get bulk quantity for your retail customers now! 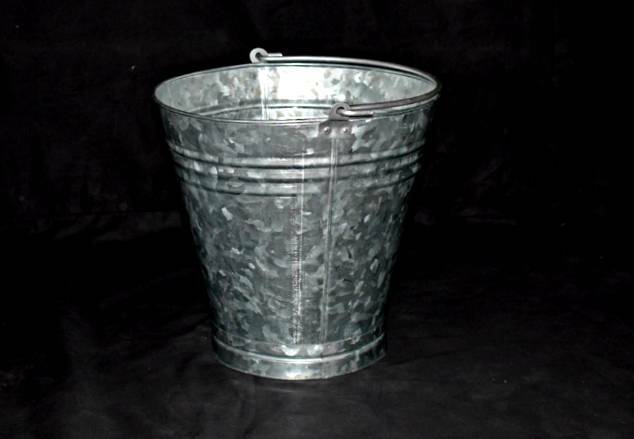 This oval shape metallic bucket is used for janitorial purpose and is made up of thick gauge Zinc Iron sheet. It top surface is half covered and has a filter attached to it. Thick gauge handle is provided to make it easy to use. This leak proof GI caddy is coated with lacquer to maintain its durability. Source this in bulk for your end customers now! This Galvanized Watering Can is a portable container with strong handle and spout which makes comfortable to water the plants. Its cylindrical shape with twin handle makes it easy to hold when filled with water also make it feels well-balanced. Import this high grade Zinc Watering Container from India now! Portable colored watering can is used for small gardens and are very easy to use and carry. This watering pot is powered coated to make it durable and attractive in looks. 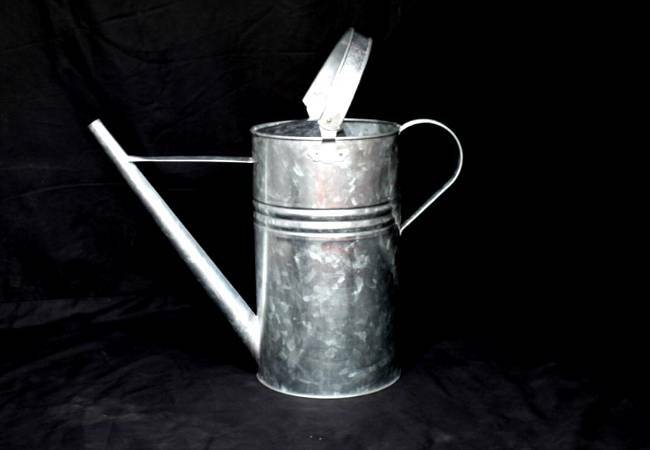 This Zinc Metal watering can is used to water indoor and balcony gardens. It has got large size handle to make it comfortably use and easy to balance. Source this amazing piece of Metal Handicrafts! 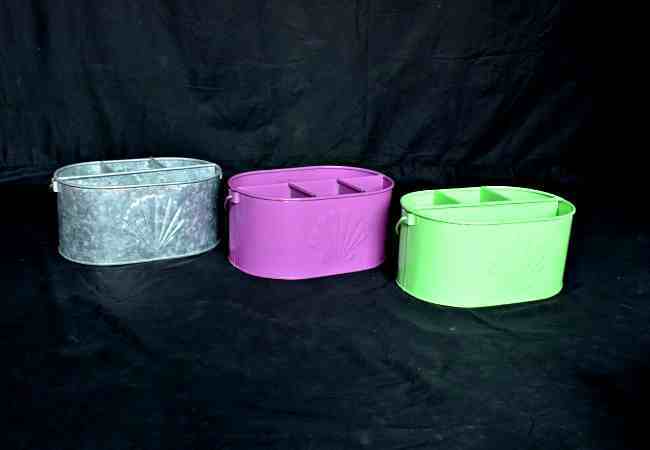 This multi chambered cleaning caddy is handicrafts piece made up of high quality galvanized sheet. At the top it contains Iron handle with wooden grove. It easy to manage along with all cleaning essentials, great for janitorial purpose! Source in bulk at amazing pricing! 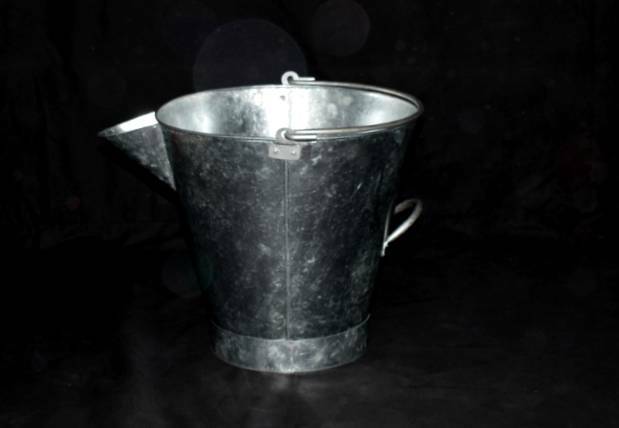 This Galvanized Watering buckets is power coated to make it attractive in look and feel. This water container has thick gauge handle at the top to make the bucket easy to use and carry. This is great item of metal handicrafts and also comes in galvanized natural finish with lacquer coating. 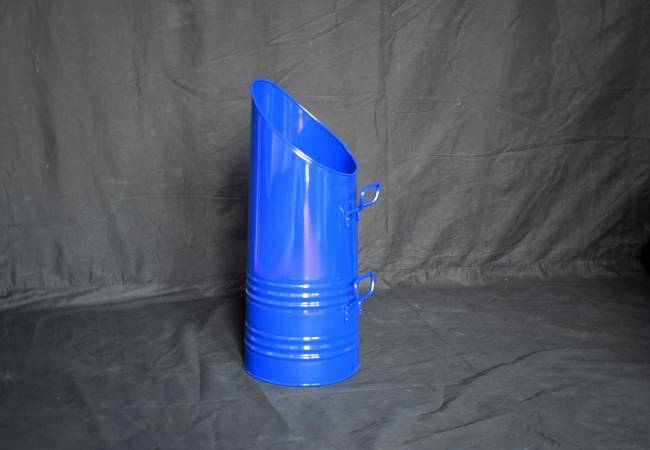 Kone Crafts is specialized in manufacturing these types of watering buckets in bulk at affordable pricing. Source water buckets in bulk at wholesale pricing! This metallic watering can is very similar to watering bucket with additional feature like spout and second handle. 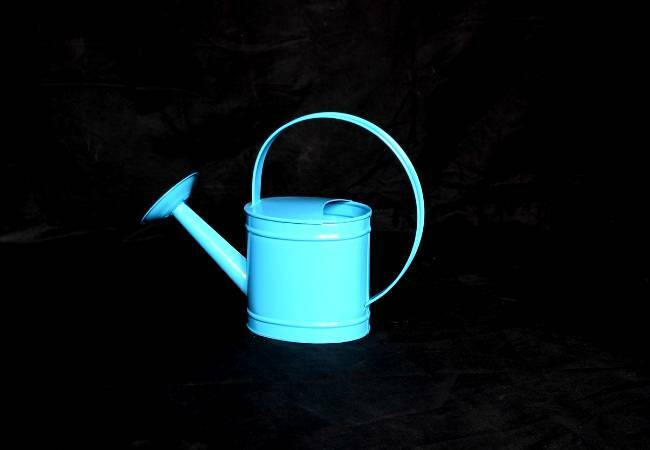 These watering cans with spout are handcrafted from high quality Zinc Metal Sheets by experienced artisans. Kone Crafts is specialized in manufacturing watering buckets with spout. Source buckets with spout in bulk at wholesale pricing! Coal scuttle is metal container somewhat bucket shaped used for carrying coal to indoor coal fired heater. 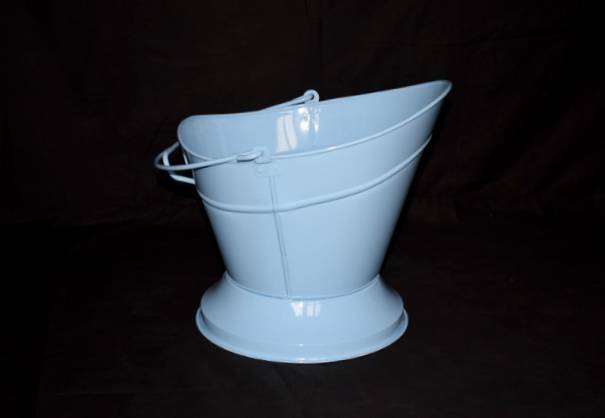 This blue powder coated coal bucket is made from heavy gauge galvanized sheet with strong round iron base with wide top and double handles. 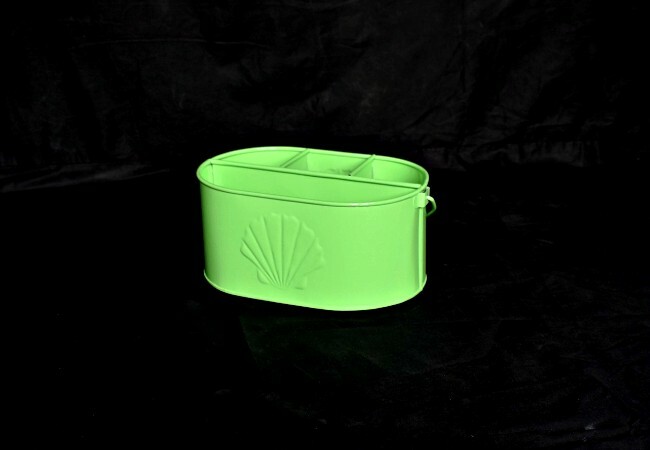 Kone Crafts manufactures coal pail for wholesalers and ecommerce retailers. Source these Coal Scuttles in bulk at wholesale pricing! This coal hod is manufactured from heavy gauge galvanized sheet and has two handles attached to it. This coal bucket has rounded off lip which helps in placing coal in the heater easily. This coal scuttle is power coated to make it more attractive thus making is integral fireside accessory. Kone Crafts manufactures coal hod for wholesalers and ecommerce retailers. This galvanized coal can is great for coal storage in front of any fireplace. 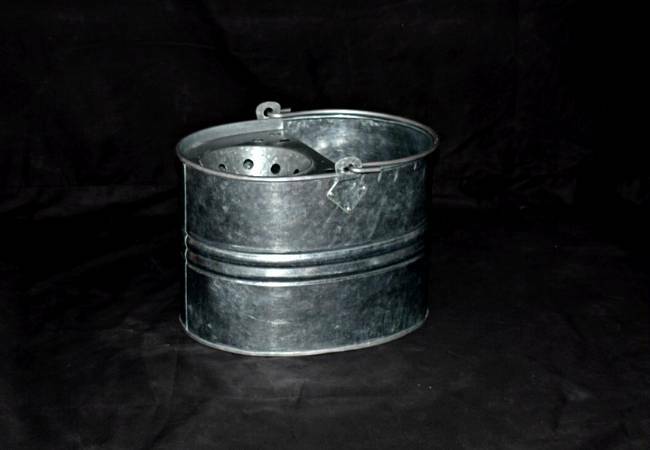 This coal bucket is made from high grade Zinc sheet and available in natural galvanized iron finish. This is coal bucket is quite strong and durable for daily use. INTERESTED IN CLEANING CADDIES OR CANS? Write back to us if you need more information!